For our second Albion League match of 2014, the small team from Priory made the trip from their own picturesque field near Walton-on-the-Naze to ours. Thick cloud at Runwell dimmed the view somewhat, and a strong chilly breeze kept us cool throughout the shoot but hopefully we provided a warm welcome to our guests. Rayleigh’s team candidates consisted of our star couple Grant and Jackie Hanan (recovering from a late night party), the stalwarts Jim and Grant B, Phil Rowberry, Ian Martin, Brian, Tim and returning captain Ian B: significantly outnumbering our opponents, who admitted to finding it very difficult to field a team for the league shoots. The threatening weather pressed us into action promptly at 80yds with varying degrees of success: the ubiquitous Northerly blowing across the field pushed sight windage to the limit and beyond: a few misses went into the grass and proved difficult to retrieve, even with detectors…There were some notable scores, however, with Grant H racking up a very nice 284 at the end of the stint. At 50yds we were blessed with a little blue sky and glimpses of the sun but all too soon the shoot was over. 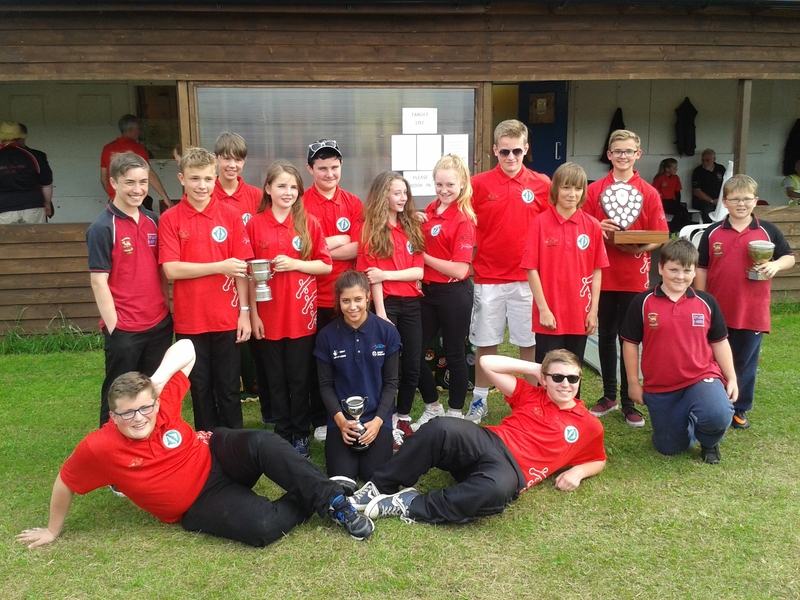 With the traditional tea laid on by RHS&SC the team totals were calculated – the result a resounding win for Rayleigh: 4171 to Priory’s 3718. Many thanks to Priory for making the trip and to Brian for marking out the field! (don’t have a score for Jim…!). 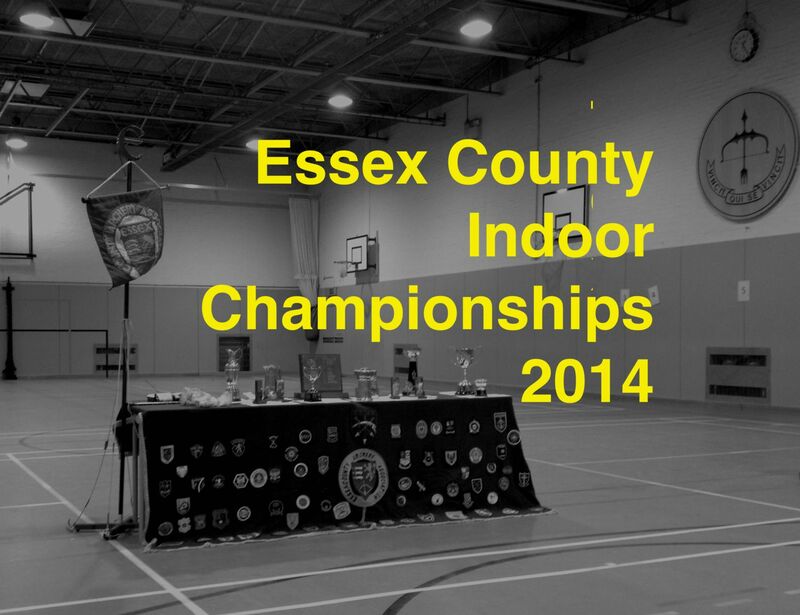 Rayleigh Town were well represented at one of the indoor season’s last major tournaments – the ECAA Championships, hosted by Chelmsford Tudor Rose at the Sandon School. Taking place over two days, we had entrants in almost all categories. 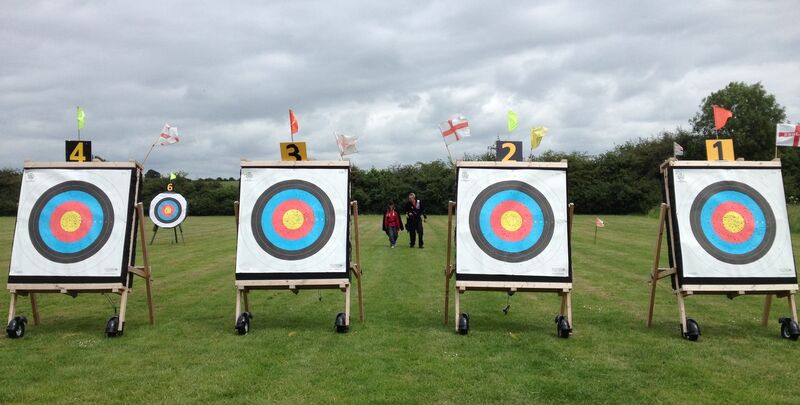 The round was a FITA 18: compounders shooting at the vertical three spot faces, everyone else on the traditional 40cm targets. Marie M was our sole representative in the saturday morning session shooting bare bow while Ian M shot recurve later in the afternoon. 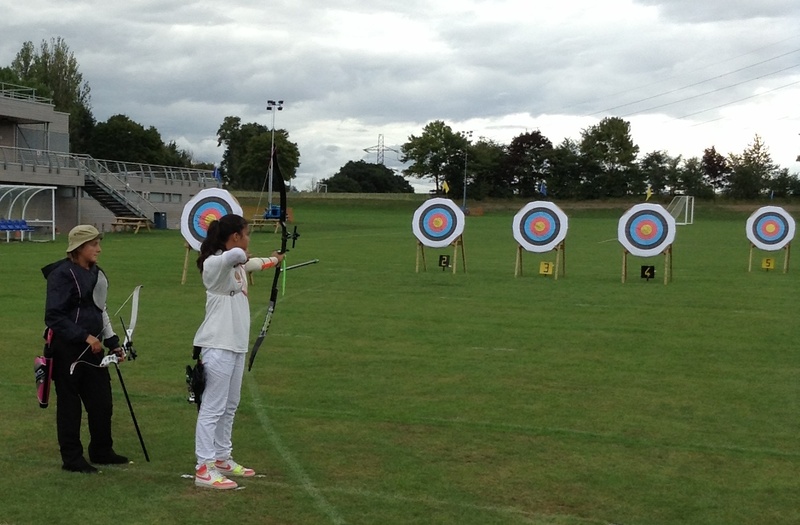 Although a late entrant, and nursing an injured shoulder, our very own Lauren B pitched up to contest Junior Girls recurve too. On Sunday, we filled the morning session with Charlie, Phil and Alex, Helena, Jason, Luke, Lenni, Reece and Jordan and me (I stuck around for the afternoon too!). So how did we all get on? We also managed to pick up 2nd place in the Team Recurve (Iain, Phil, Lauren and Tim), and 3rd place in the Teams Compound (Lenni, Jason and Alex). 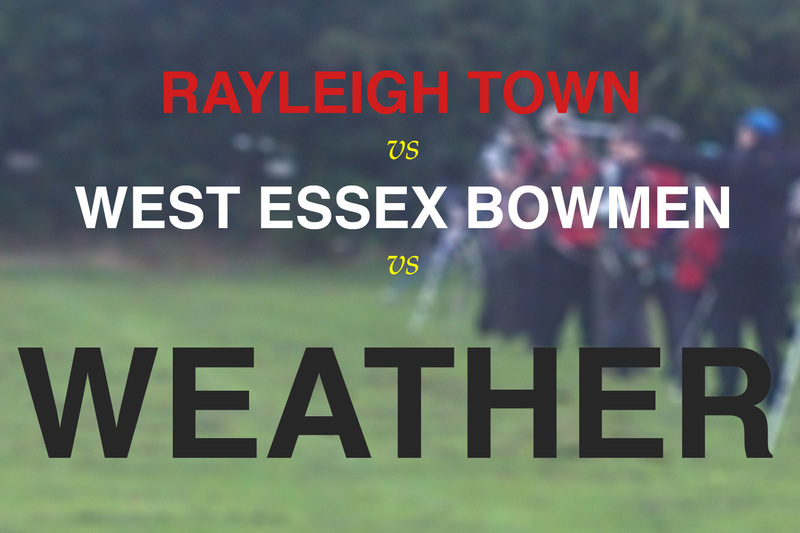 A fantastic day for the archers and the club! Many thanks to the CTR team and Mike Pierce for organising a smoothly-run, friendly and relaxed shoot. Full results will be available on the ECAA website when available. 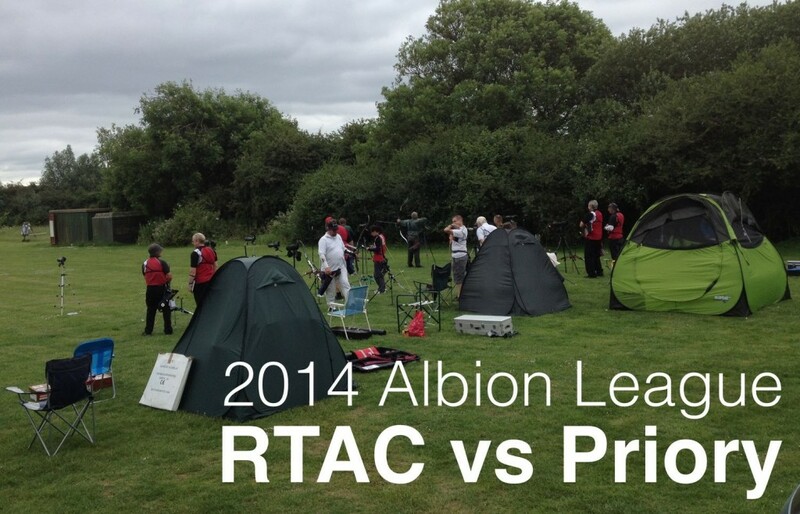 ECAA have compiled the results for the 2013 Albion League. Rayleigh finish 4th in Division 1! More information from the Albion League page.